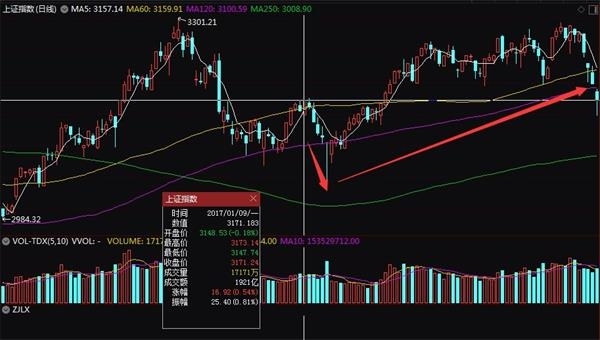 April 15th,The Shanghai Composite IndexThe intraday price rose more than 60 points, but in the afternoon there was a wave of diving, and eventually turned down. One of the main factors leading to the market's decline was the fact that Northward funds had a large net purchase from the intraday trading and turned to a substantial net sell. The Northward-to-East-Shares Fund also had a substantial net purchase in the morning, but it turned into a substantial net sell in the afternoon, and eventually sold a net sales of 2.274 billion yuan throughout the day. It is worth noting that this is the seventh consecutive trading day for Northbound funds, setting a record for the longest continuous net selling of Northbound funds after January 9, 2017. Northbound funds sold for 7 consecutive days, creating the longest net selling record in the past two years. The Northbound funds were still buying in the net this morning. At that time, the A-shares sang high and the Shanghai Composite Index rose more than 60 points. The improvement in financial data in March exceeded expectations and significantly boosted market sentiment. According to data released by the central bank on April 12, RMB loans increased by 1.69 trillion yuan in March, higher than expected; the scale of social financing in the month was 2.86 trillion yuan, which exceeded expectations. Far more than expectedCreditAfter the data was released, Singapore's FTSE China A50 Index Futures also responded quickly, and investors were expecting the performance of today's A-shares. However, just as the market expected better performance may become the main theme of today's day, the two cities began to peak, and there was a wave of diving in the afternoon.Shanghai indexEventually it rose from over 60 points to eventually turning green. This process is accompanied by a major reversal of the attitude of the Northward Land Stock Fund. 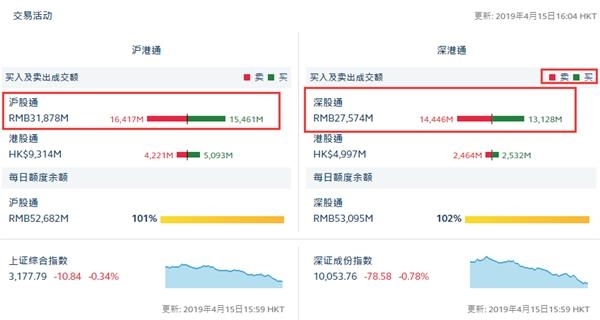 The data shows that the Lujiatong funds once again showed a large net purchase in the morning, but as the index gradually climbed, the northbound funds sold in large quantities, and in the afternoon, they were sold out in a large net, making the stock market sell all day long. The net selling amount reached 2.274 billion yuan. It is worth noting that before this, Lufatong funds have been sold net for 6 consecutive trading days, and this time there has been a net sell-off again, which resulted in the continuous net sales of the Northward-selling shares to 7 trading days. The record for the longest continuous net sales of Northbound funds after January 9, 2017 was set. The accumulated net selling amount in 7 trading days was as high as 16.628 billion yuan. Since March 6 this year, Northbound funds have started to sell netly. In the 28 trading days since March 6th, 20 trading days showed net selling, and only 8 trading days showed net purchases. The above 28 trading days accumulated net sales of 17.127 billion yuan. This time, the northward funds sold netly for several consecutive trading days. Does it indicate that the northward funds are no longer optimistic about the A-share market, which leads to the decline of the stock market? Judging from the past, the conclusions are not good, and there is a lot of uncertainty. On the one hand, the reason is that the current market has doubts about whether there are some “fake foreign capital” in the northward funds. A typical phenomenon is that compared with previous years, the short-term operation behavior of northbound funds is obviously much more this year. This style of operation is quite different from the traditional foreign-operated operation style. In the process of continuous adjustment of the stock market in 2018, the northward funds generally showed continuous net purchases. The continuity of their buying actions showed that their attitudes were quite determined, and they did not pay much attention to the fluctuations of the short-term market. The style is quite consistent. On the other hand, from the historical data, even if the Northward funds are sold for a number of days in a row, whether there will be a downtrend in the market next, there is also great uncertainty. For the period from December 22, 2016 to January 9, 2017, the Northward Landshare Fund has been net sold for 9 consecutive trading days. After that, the Shanghai Composite Index began to fall for five consecutive trading days, but the overall decline was not large, and after the decline, the Shanghai Composite Index regained its upward trend. Regarding the relationship between foreign capital and A-shares, there is another recent event, that is, MSCI announced that it will postpone the switch to China's full stock index. On April 13, Mingsheng Company (MSCI) announced that the conversion of the MSCI All China Indexes to the MSCI China All Share Indexes was postponed until November 26, according to the original Plan, this switch was originally scheduled to be converted on June 1. Previously, the pace of A-shares into MSCI has been well-organized, and it can even be said that it is advancing rapidly. Does this change mean that Alum’s attitude towards A shares has changed? For this MSCI action, BOC International believes that the tracking of China's index funds is small, the real impact is small, and the pace of foreign investment in A shares remains unchanged. BOC International pointed out that comparing the difference between the MSCI China All-Share Index and the A-share weight of the MSCI China Index, the A-share weight dropped by about 10 percentage points, but the scale of tracking China's index funds was not large, and tracking the MSCI ASWI index and MSCI. The amount of funds in the EM index is negligible, and the increase in the proportion of A shares in the MSCI ASWI index and the MSCI EM index is the main force driving foreign investment into the A shares. The A shares are included in the MSCI index system three times in the next time. The increase in the ratio and scope, and the time when the A-shares will be officially included in the FTSE and S&P Dow Jones index system are the key events in determining the pace of foreign investment in A-shares this year. Therefore, the delayed conversion will not affect the entry of foreign capital into A-shares. The rhythm. According to the preference of foreign capital inflows this year, the future consumer sector and high-quality technology stocks will continue to benefit from the expansion of foreign capital inflows.